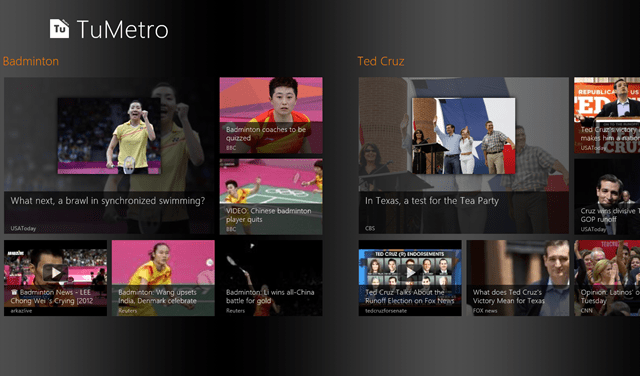 TuMetro is a free Windows 8 reader app available under the ‘LifeStyle’ category of Windows 8 store. This free reader for Windows 8 lets you read about various actions happening all over the world. It’s a kind of online news app. TuMetro app for Windows 8 lets you know about what’s happening in the world around you in a semantic fashion. Semantic search is a kind of search which is use to select something which is relating to a certain language with the help of keywords. It is kind of Reader’s Digest. While reading some kind of online news, you can easily browse through other stories on your Internet Explorer with the help of keywords included in the illustration. The interesting thing about this Windows 8 reader app is the tiles-based interface that get refreshed every time you use it with the latest world news and happenings. This makes you easily browse around the current issues and news along with the related videos. And as I said earlier, you can browse through other topics and stories while reading the page with the help of keywords. 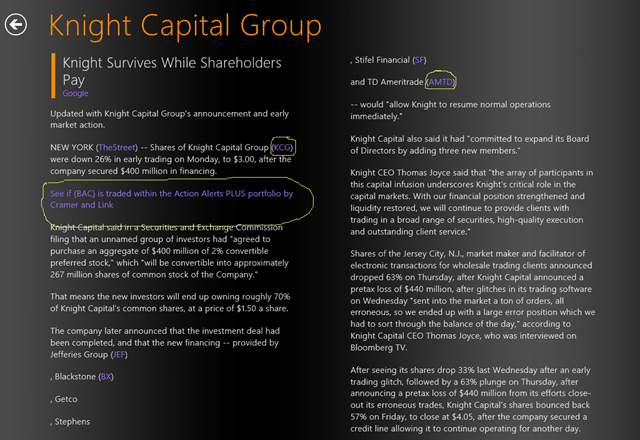 Take a look at the below given screenshot to see the highlighted keyword. All you need to do is just click on ‘news headline’ and the whole story will be in front of you. Now, you don’t have to rush for a newspaper. Just open TuMetro app for reading today’s news and BAMM!, it will be there. You can also read the related story through your web browser as the semantic keywords will redirect you to the related page. I would say this is a good utility app for all those who love reading online newspapers or track news online. I found it quite easy to use and also the user interface is quite straightforward. You can give TuMetro Windows 8 News app a try since it is available for free.